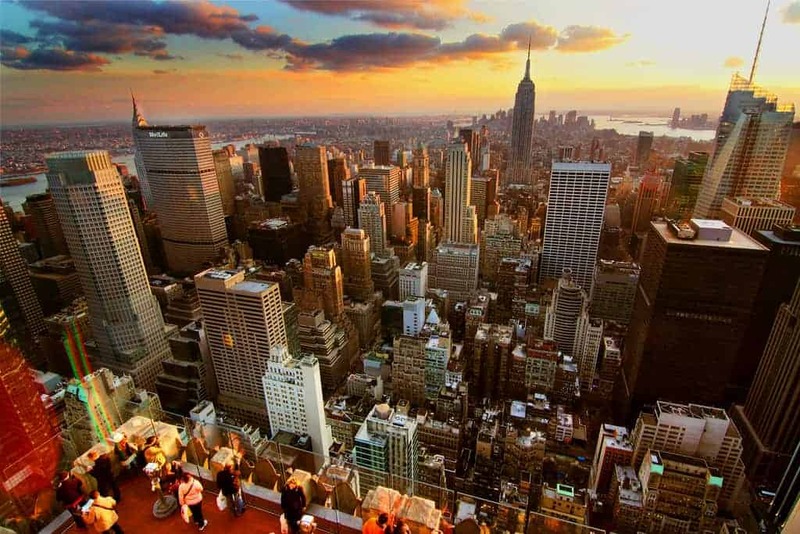 United States: Top 20 Flea Markets in the US (2019 Update) 4.0634328358209 out of 5 based on 268 ratings. 268 user reviews. 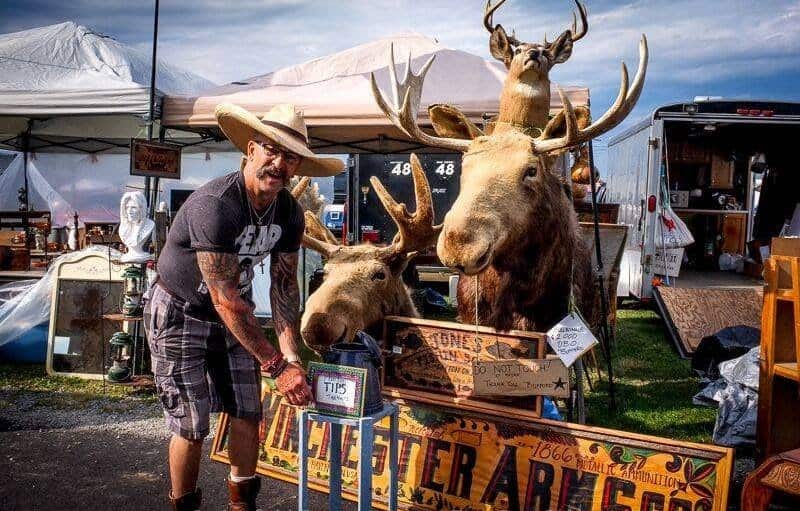 The Springfield Antique Show and Flea Market has been a favorite source of collectibles and antiques for thousands of collectors and dealers for over twenty-five years. 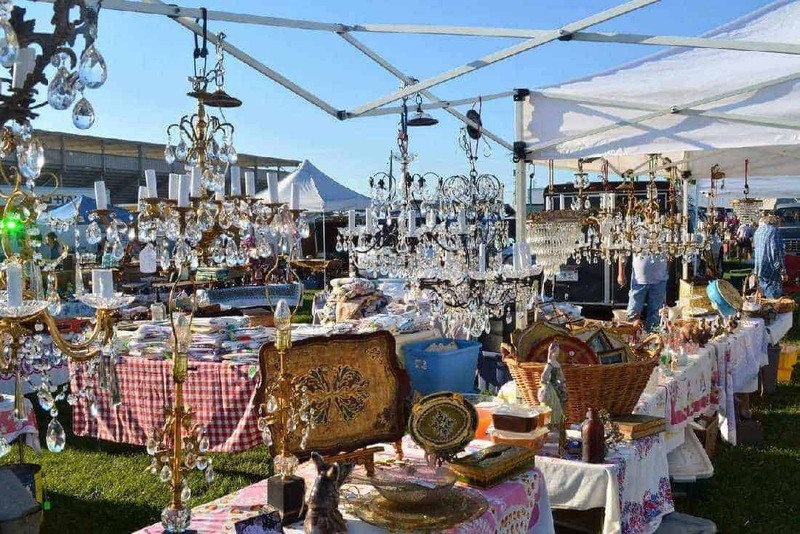 In fact, major national publications have continually recognized the Springfield Antique Show & Flea Market as one of America’s best markets: Country Living, Country Home, Martha Stewart Living and CNN all agree that this flea market is one of the best in the United States. The Springfield flea market takes place one weekend each month on a county fairground. The only exceptions are February and July, when the market is closed. If you happen to be in Ohio on market days, going to Springfield is a must. Over the course of its quarter-century run, this busy market has won a reputation as the heartland’s go-to source for all things folky and primitive, such as old metal pails, Shaker boxes, cross-stitched samplers, and calico quilts. Farmhouse antiques, like blanket chests, milk-paint cupboards, and sturdy rocking chairs also figure prominently, as do well-preserved dishware and tabletop items. Springfield Antique Show and Flea Market is a great source for American vintage items. During each year’s three supersize Extravaganzas—in May, June, and September—the number of vendors swells to more than 2,500, some operating out of cattle barns and poultry houses. Our advice for a successful shopping experience: Go in September to have the best shot at a bargain. Later in the year, dealers are trying to liquidate their stock for the winter. Also visit the market’s online discussion forum to connect with sellers, preview goods, and even post wish lists. Great flea markets!! Also check out Burbank Junk Trunk Flea Market, its new to burbank and is held the 2nd saturday of every month beginning march 8th at John Muir Middle School in Burbank, CA. DONT MISS THIS ONE!!! email [email protected] for more info!!! Roundtop Texas Antique Week is Insane! WARNING – Once you go, you will always go! Raleigh Flea Market – Awesome place to find great bargains! Yes, it takes a few days to see it all. Bring a Uhall if you’re smart. To my opinion, the English Town flea market has been on a downward spiral for some time now and this time, it seems it has hit bottom. This is the saddest flea market I’ve ever seen. If you’re going for clothes, tools, CD’s, DVD’s, questionable toothpaste, shampoo or food goods, sock vendors, cheap/knock off sweatshirts, work boots, women’s accessories, etc then you’ve found the spot. There are also multiple booths selling drugstore discards: damaged cosmetics, over the counter meds & personal hygiene items in broken boxes. If you are a seeker of actual antiques, then this is NOT the place for you. If this place was better organized and they put a limit on the types/numbers of vendors selling new crap, it might become a 3 star experience. At this point, it looks like someone owns a big piece of land and is letting anyone with money and a folding table throw down. If it is $13 a table, and there are easily a thousand tables at the Englishtown Flea (not to mention the sad stores inside of the many buildings), we are basically looking at someone’s poorly managed cash cow. This place needs management, organization and someone that cares about the experience of the attendee. I agree. I grew up in NJ and went there at least one Saturday a month (mom/daughter thing) and it was losing it’s appeal back in the 80’s. I’ve not been there, but it sounds just like a few that I have now stopped going to for that exact reason. Just as you discribed here in Texas, the same thing has happened. I have no complex of nationality, but the flea markets are full of hispanic vendors, they are the ones who are mainly bring in that type of product. And the owners of the Markets are allowing it to happen. Thats not what a Flea Market has ever been about selling. You’d think you were in an outdoor market down in Mexico. Why are these the best? Size? Quality? Attendance? All a matter of opinion. 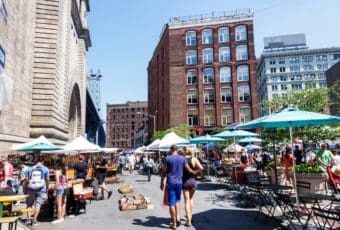 Are there any flea markets you wished would have been featured in this listing? No idea how you could possibly miss Roger’s Community Auction & Flea Market. It is the oldest, largest in the tri-state area, and was voted “Best Flea Market in Ohio” by Ohio Magazine. RogersOhio.com They have over 1600 vendor spaces and up to 50,000 visitors on a peak Friday. Hi Tish! We’ve not been there yet, but if you have a chance to attend this flea market, we’d love to hear about it! Are you planning a trip to AZ? Tish, this sounds like an AMAZING trip! Well, rest assured that if you’re looking for a place to share your adventure, we’d be more than happy to feature it on fleamarketinsiders.com so our community of flea markets/antiques/vintage enthusiasts could enjoy from your experience :) We wish you good luck with your lovely endeavor! we are planning a trip to Phoenix in November, does anyone know of a good Flea Market in that area? Where’s the Elephant’s Trunk? I’ve been there and the Georgetown Flea Market and there’s no comparison. The DC one is nice; but it’s about 1/10th the size of the Elephant’s Trunk. It’s more comparable to the Brooklyn Flea Market. HGTVs hit show FLEA MARKET FLIP is now casting teams in NY, NJ, MA, CT, and PA! Email [email protected] for submission requirements! I’m really excited to see Georgetown Flea Market in DC on the list here, but the address and contact information you’ve listed is for one in KY. The one in DC is at 1819 35th St NW Washington, DC, phone: (202) 775-3532. Great write-up! The Georgetown flea market is a real institution in the US, among flea market enthusiasts! So there’s no way we wouldn’t have featured it among our ranking of the best flea markets in the US :) Sorry for the mistake with the address and telephone number; everything is back in order now. Topanga Vintage Market is called one of SoCal’s Top 5 Fleas, which is no easy task in a town with Rose Bowl, Melrose and Long Beach, not to mention the great Pasadena City College show. We are all vintage and antiques, with over 180+ sellers plus select local artisans, music and food trucks. Always the 4th Sunday of the month. We are celebrating our 4th Anniversary this April, 2016. Junk on! Is it legal to sell over the counter medicine at a flea market? I was surprised to see this. 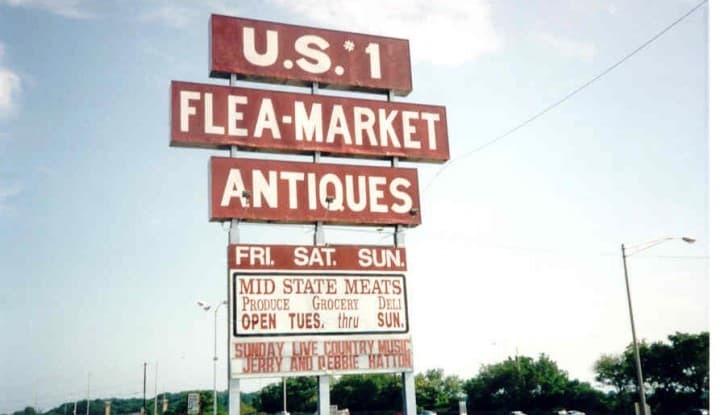 I think the Best Flea Market anywhere is the one that you know about and isn’t on this list. That’s what I have close to my house. I live in a somewhat rural area, and the stuff I see at that flea market has amazed me for over 25 years. And the pricing? OMG The place I go to is known as a buyers market, not a sellers market at all. But, the regular sellers are there to sell and man, do they sell cheap! These sellers go to ALL of the local auctions and then drag that stuff, weekly, to the flea market. Half the time they don’t even know what they have, they don’t do the research, they just want to make SOME MONEY on what they’ve bought. I know of one fellow who’s been doing nothing else but buying at this flea market and selling on e-bay. NOTHING. He makes enough to live on…comfortably. He knows ALL of the regular vendors very well, and they know him. The vendors will set aside specific items for him, because they know if they have something of value, this man will pay what they’re asking, if he thinks that he can make a substantial profit on that item. I live within driving distance to several very good flea markets, each and every one has enough vendors that a good antiques dealer can make a large enough profit on the keep their store FULL, with very good quality items. So, I reiterate – the best flea market is the one that you know about, and isn’t on this list. So where do you live? 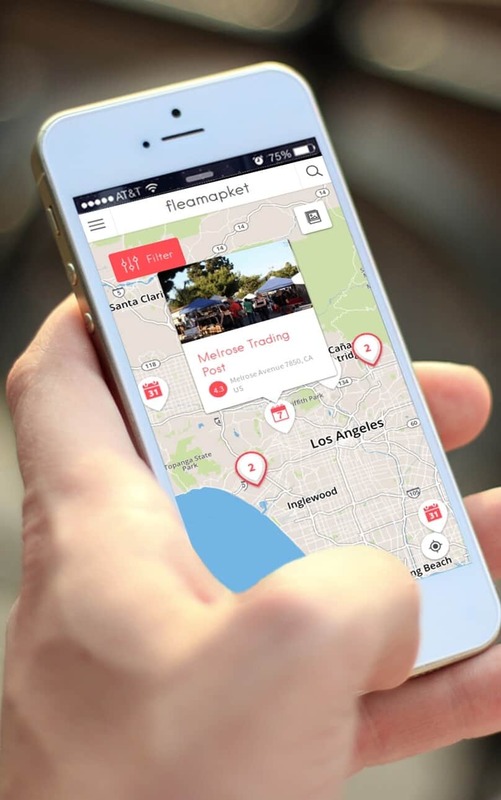 I would love to check out this flea market! How could you NOT have the Elephants Trunk Country Flea Market(New Milford, CT) on your TOP List?!?!?!?! Why do you think “Flea-Market Flip” films their ‘Picking/Re-purposing’ section there? High % of Antique & Vintage Dealers 500+ every Sunday weather permitting outside!!! I love shopping for older stuff. I saw Austin Country Flea, Austin, TX on the list, but didn’t see Trader’s Village, Grand Prairie, TX on the list. It’s one of the largest and oldest to shop in TX. They’re still there. I left TX in 2005, and checked them out, and they say people still sell everything. I’m moving back to TX, and can’t wait to visit them both. Although YELP! responses are not good for Austin Country Flea. That’s a very good point. Our rankings of the 20 Best Flea Markets in the US is actually dynamic. This means it tends to evolve over time based on different factors such as the renown of each venue, the rarity of the event (once a year vs weekly), the quality of merchandises sold (majority of antiques), the number of merchants/size of the event. Since we couldn’t change every time the pagination of our article to reflect this change, we decided recently to reflect these changes in the list below – flea markets are ranked by order of importance & quality. Hell’s kitchen flea market no longer exists, sadly. I live in Michigan and the Flatrock Speedway Flea Market is huge! The entire speedway section is packed with antique dealers and then there is the enormous overflow section with rows and rows of dealers. I found antiques that I never thought I would find at this ginormous flea market. The prices are very fair and the sellers are always willing to negotiate a fair price. There is food and indoor clean restrooms free parking and free admission. This flea is every May and October. 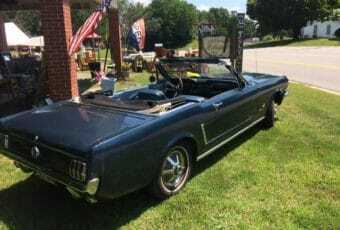 Next is Greenmead Flea Market in Livonia Michigan it’s held twice a year June and September- it’s huge! 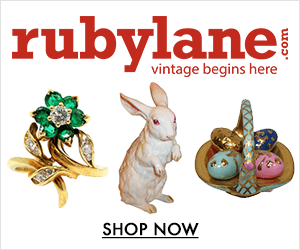 Sellers as far as the eye can see – beautiful antiques at reasonable prices. This flea market is a true treasure chest!!! The parking is free – it’s $2.00 to get in and there are food vendors – and many port-a potties. This is a fantastic flea market – the size of the crowds can attest to it’s a quality flea market. So please put Michigan on your list!!! Hi Judy, thanks for sharing these tips! Sounds great – we’ll check it out! In the Fall of 2014 we found out that The Willows Flea Market in Mechanic Falls was for sale. So, we went to look at the place and talked with the owners regarding purchasing the property. We discussed the endless possibilities that we could do with the buildings and the property. Since we had been in the construction business for over 35 years we knew that the work would be extensive to bring The Willows back to life again. Were we up for this kind of huge project and would it work? It would be a big commitment for us as we would have to give up a lot of time and focus on a large remodeling job. We sat down as a family and made the decision to go ahead with our ideas etc. In February of 2015 we closed on the property and instantly began renovating. On June 4, 2015, we opened with just the first floor with approx… 20 vendors. With a lot of advertising to get more vendors in, we finally filled the first floor with Awesome Artisans and Vendors that were from Maine and other states. At that time, more artisans and vendors were coming in asking to rent a space. Therefore, we started renovating the 2nd floor. The 2nd floor opened in November of 2015. Business for these artisans and vendors were great! We still had more people coming in asking to rent space so we started the 3rd floor renovations. The 3rd floor opened January of 2016. So, from February 2015 to January 2016 we were nonstop with limited help and did all the renovations while bringing in new artisans and vendors at the same time. The word was getting out about what we had done to The Willows and customers that came in couldn’t believe what they saw compared to what it looked like before. It was awesome to see customers faces when they walked through the door as their mouths would drop and couldn’t believe what they were seeing! All customers were very pleased with what we had done to the building and would tell us that they would be back and would tell all their friends and family to come check out The Willows. Artisans and Vendors were still coming in looking to rent spaces. To accommodate them, we decided to start renovating the other one floor building while building The Willows Café. The other building opened August 3, 2017! 19 Booths and there are also middle aisle spaces. The Willows Café is now open! As of August of 2017 our customers now have 2 buildings to shop and a Café to rest and eat. Both Buildings Combined…we now have 36,560 sq. ft. of Artisans & Vendors. With this new business venture that we started, we have had the opportunity to meet so many wonderful Artisans, Vendors and Customers and are truly Thankful for all who have had their confidence and support in us that has made us what we are today, the Largest Indoor Flea Market in the State! New Building opened August 3, 2017 and is Full of Amazing Vendors, Artisans and Items! We still have a lot of work to be done on the property, so stay tuned and watch the transformation as it’s happening…. In closing, we want to Thank-You for “Shopping By” and Supporting a Local Business for Maine’s Finest Artisans and Vendors in our State! First of all, how can you call something like Brimfield a flea market? Second, if places such as the Nashville Flea Market and Lakewood are among the best in terms of antiques/vintage items, then the market is in even worse shape than I thought. Springfield Antique Show & Flea Market – Springfield, OHIO The highway yard sale is an antiquing marathon, not a sprint….